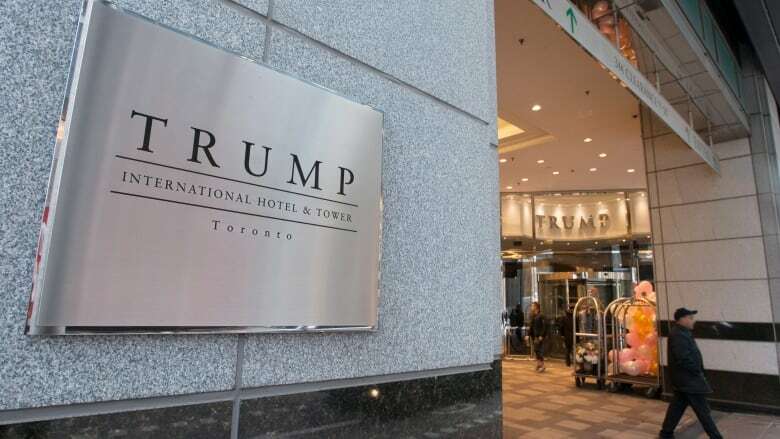 The new owners of the Trump International Hotel and Tower Toronto have reached a deal that will see the Trump name removed from the property. JCF Capital says it has reached an agreement with Trump Hotels to buy out the contracts to manage the property for an undisclosed sum. Although the Trump brand has been plastered on the downtown tower since it opened in 2012, the Trump Organization has never owned the real estate — which has been the focus of a long-running legal battle. The Trump Hotels "team have been exceptional partners and we hope to have the pleasure of working with the Trump organization again in the future," JCF president Jay Wolf said in a statement Tuesday. Earlier this year, Juniper Capital Partners and Cowie Capital Partners teamed up to buy 211 unsold hotel units, 74 residential units and most of its commercial, retail and amenity space after the development failed to make payments on a construction loan. Pitched as a luxury condo and hotel development that would bring investors millions in rental income, the project was beset by construction delays and then diminishing returns from lower than expected occupancy rates for the hotel portion. "We are pleased to have reached this agreement with JCF and have enjoyed our relationship with them as the new owners of this property," Trump Hotels CEO Eric Danziger said. "This was a record-setting year for the hotel and we are incredibly proud of our performance. We look forward to the possibility of exploring other opportunities with JCF in the near future." Marriott International Inc.'s St. Regis brand is the lead bidder to take over the management contract for the site, Reuters reported recently.